Whether you are a professional, a landscaper, logger, firefighter, carpenter, a chainsaw artist, you definitely would appreciate that chainsaws remain one of our greatest machines of our time. A Chainsaw could be a hungry machine for the right reasons. It could be bringing those trees down in minimal time, chopping off pieces of wood, clearing thickets, fixing out those tree planks and the functionality could amazingly go endless. If you could use a handsaw instead of a chainsaw, you would probably drop the idea altogether because handsaws, unlike chainsaws, can be so slow, energy draining with less work output. But also, if you happen to be shifting your interests to single out the best chainsaw from the many out there, I bail you out of this mind-boggling task. 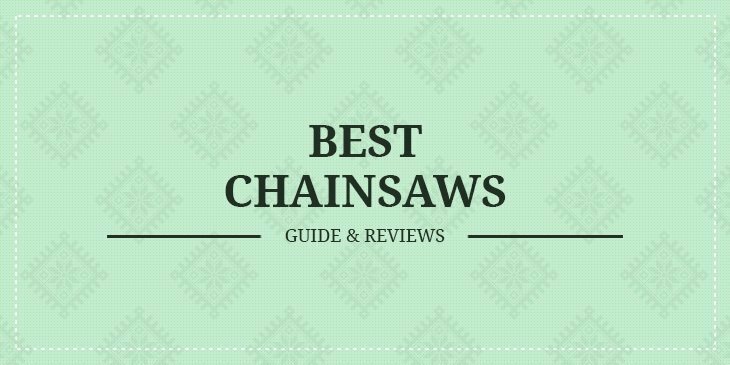 In this review, I see you through a careful research of the best chainsaws you can choose from but still create value for your savings. Chainsaws come in various models, sizes, the level of power, type, and even qualities. If you need the most appropriate chainsaw, first it will depend purely on your needs, what exactly do you intend to do with it? We have gas-powered chain saws that tend to be faster, use less pressure, are heavier and louder. They require regular refueling and servicing. 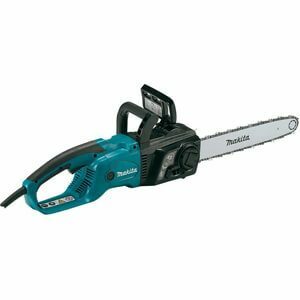 Corded-powered chainsaws are accompanied by a plug-in power cord, and they tend to be cheaper than gas-powered chainsaws, they are lighter with slower sawing speeds suitable for lighter tasks. Cordless electric chainsaws run on a battery power without a power cord. They are a little bit pricey compared to gas saws. They need a regular charge and are too slower in sawing, appropriate for light duties as well. The other types of chainsaws are the electric loppers. They are light in weight for lighter duties. Before choosing any best chainsaw that perfectly satisfies your preferences, the following are those critical factors you need to take into account when getting one. Given so many models out there that claim to deliver the best job, picking that chainsaw, you exactly need can be a daunting task. Some are quite expensive, depending on the model, but end up not living up to the promise. A keen and careful approach based on a chainsaw's feature, dependent on your needs is critical to establishing the best chainsaw. These needs to be at your fingertips when identifying one. It could be the necessity to cut down small or those large trees, branches, clearing bushes or shrubs, sizing logs of wood, regardless of the variant needs. The magnitude of the tasks ahead of the chainsaw should help you in identifying whether they are light, medium or heavier tasks. Task matching to your chainsaw is a compliment step to identifying appropriately, the right machine for your job. How long a chainsaw is, is largely depended on the length of its blade. Even though some commonly come in 14-inches and 20-inches. It again boils down to the task ahead of your chainsaw. Heavier tasks will require big bladed chainsaws, while lighter jobs could be appropriate with a chainsaw that comes with a small blade. Expect to come across mostly engines of 35cc to 55cc apart from other variant sizes. This might be the appropriate case for those that need fuel to run. If you intend to carry out bigger tasks, definitely you will need a more powerful chainsaw engine, as opposed to the smaller duties. The horsepower too of your chainsaw is critical if you are to handle heavier tasks, but for light assignments, an electric chainsaw is much suitable. Depending again on the kind of job you intend to carry out, different jobs will necessitate the different need of your chainsaw size of cutting bar. For larger bars, be keen on them because they can turn out to be heavier, not easy to tailor their motions while doing your cutting and that would mean sometimes less predictability, hence posing safety concerns. But with experience, handling heavier cutting bars becomes learned. If you are new in handling them, start with those that have smaller cutting bars. They tend to be more comfortable too. You have to ponder this too. If you require a more powerful machine to cut down those heavier logs, then the best advisable choice is a gas chainsaw. This is because it brings a more forceful knock on them if you could be interested in a chainsaw that has less power, more especially for light duties, the electric one stands a better position to do you a better job. Managing mobility of a chainsaw is an accolade to safety.This should be a top priority. Ability to control kickbacks of a chainsaw is a great step. Check out for those chainsaws that come with extra guard features and are less hostile when it comes to cutting, to contain those large bites. Be keen too on those with a kickback tip, normally with a narrow nose region or tip, to not only limit cutting area but also prevent kickbacks. A bar tip- guard could be a plus, this covers the nose of the bar. Lastly, in case your chainsaw experiences an impromptu motion, the chain brake stops the chain almost promptly on impact whenever the front hand guard moves forwards, or there is a kickback. When getting your chainsaw, check out those that come with a chain catcher, a muffler, and a case. Chain catchers will prevent the chain, when it gets lose, from flying back and hitting the operator. Mufflers help in reducing the chainsaw makes around you and a case is to help you store the chainsaw when carrying it around for your safety. A case too helps in containing unnoticeable oil spills from the machine, keeping the saw safe with that convenience of portability. A chainsaw that brings you more comfort in use supplements better chances of ensuring you are safe too. Identify those chainsaws that come with wraparound handles for that comfortable grip minimizing unnecessary horizontal cutting. The anti-vibration features, spring assist starts, and visible oil gauge will help you in minimizing vibrations and fatigue during cutting. They will also reduce pull force needed to start up the saw and check on your oils levels respectively. Be keen too on the chainsaw that has a fast-adjust chain and tool-less chain to adjustment to allow for easy replacements of cutting chain with less effort. The automatic chain oiler will keep your bar and chain oiled. This will reduce chances of their regular replacements due to wear and tear plus controlling overheating.This safety features will make your cutting not only safe but more precise and efficient. If you have identified the level of the task ahead of your chainsaw, the following models are likely to provide you the safe, convenient and ease of use as you go about your cutting. Expect efficiency and effectiveness in getting the job done with any of these. They are equal value for your investment in the long run. This chainsaw emerges as an emphasis on putting great effort, as you will while going about your cutting. If you happen to value clear cut cutting with precision, this chainsaw provides more to the effect. Homeowners too will find it easy to use without the need of any much help. This chainsaw comes in an ergonomic design with an in-built feature including air injection technology. The Husqvarna 450 Gas Powered Chain Saw comes with a 1.8HP X-Torq engine that is dedicated to lowering fuel consumption rates while maximizing efficiency. This makes the fuel consumption manageable when it comes to your budgeting needs. To regulate your usage of the chainsaw, it brings a long a smart start and fuel pump for every easy start or operation. The engine is one that is powerful and has low emissions. So you don't have to worry how worse you are contributing to environmental pollution. If you are a homeowner who happens to cut less often, this machine will be best suited for you. If you happen to be handling medium-tasks like domestic cuttings and pruning, this model avails to you a 3.2 horsepower to fix that. The chainsaw's engine is specifically designed to overcome wear and tear for very long periods of time. It is a 3-piece crankshaft tailored for that compression that will provide you top notch durability. To preserve your engine life is the chainsaw's centrifugal air cleaning system, through the removal of remains that may clog the filter. The chainsaw delivers a combined start or stops control functions, which enable you to easily and effortlessly minimizing saturation hazards. The smart start too offers the quick engine start with decreased starter cord resistance. The carefully designed fuel-pump aids in leaving fuel lines much clear for that fine start-up. Its lightweight frame decreases strain on your body when holding it for long. Its anti-vibration reduces vibration minimizes chances of quick fatigue for comfort. It has a smartly designed rear handle accompanied by a soft inlay, ergonometric trigger, and a systematic handle. 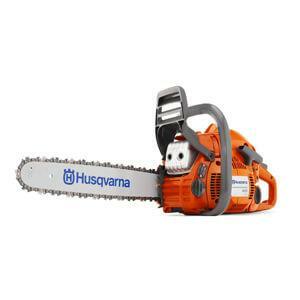 This model features modern advanced technology of chainsaws, with in mind user-friendly convenience. The Remington RM5118R Chainsaw comes with a powerful engine, so you don't need to be worried of the tasks a head of you. It is easy to start the engine too. It is dedicated to big jobs. The engine doesn't buy ‘too tough to cut'. You don't need to worry cutting down those big logs of wood or any big job ahead of you. The Remington RM5118R Chainsaw Rodeo's powerful 51cc engine dedicated to Quick Start technology that reduces the energy you need to pull and start your engine. It comes too with an 18-inch bar and chain to bring down trees of any kind for well-negotiated duties. This is credited too to it's evenpro-grade crankcase and projection that assist it to cut through some of its rough jobs. The chainsaw come with an anti-vibration handle that gives you a firm grip, which leaves you working comfortably. This further reduces chances of regular fatigue on your arms and hand as you go about your cutting. It has anti-vibration to reduce strain on your handling. It comes with a heavy duty matching case for ease of storage, convenience of carrying around and keeping the chainsaw safer. This is a durable construction ready for your rough jobs. This is one my most favorite chainsaws and one of the operator friendly out there. It majors on comfort to use and efficiency. It comes at a suitable size and cost plus an accompanying engine that would leave loving it when going about your cutting. It has the best cutting speed too. This is a definite choice. 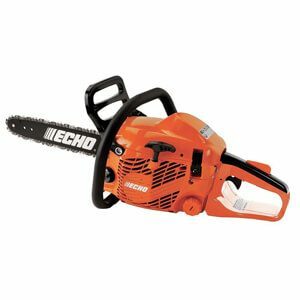 The Echo CS-310 14" Gas Chain Saw, is equipped with top-notch handling and adjustment to make your cutting of large trees and branches a successful task. This is an ability that will leave you a sustained experience, unlike many regular chainsaws in the market. Expect the best stability with this model. What stands out, even more, is this chainsaw's ability to reach up to 10 inches in diameter. Expect it at even challenging and slanted angles to deliver easily and comfortably an outstanding cut. It's cutting is an I-30 Technology for the best achievement. The chainsaw comes with a powerful 32.6cc engine designed in it, and this is benefited by the prowess of the sharp bar and chain measuring 14 in. 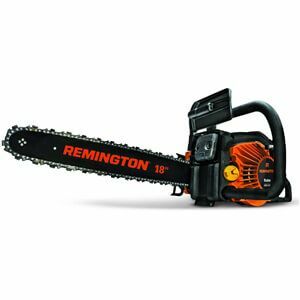 It's 14-inch bar length at a weight of 8lbs still, retains it as one of the powerfully quick to conquer chainsaws. The engine is a reliable power source. The engine is G-Force Engine Air Pre-Cleaner for your engine durability and minimized regularity of maintenance. It comes with an automated oil system for maximum lubrication, credited too to its adjustability. This reduces wear and tear, hence less costs of repairs. It also has a top-mounted filter to shrug off dirt, waste, and even wood splinters. Its dual-post chain brake enhances the longevity of the machine. The side access chain tensioner reduces chances of parts getting worn out, thanks too for its inertia-like chain tensioner. 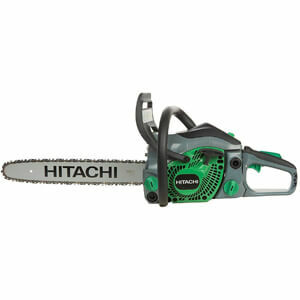 You could be cutting your bush, firewood, pruning and forest thickets; the Hitachi CS33EB16 Handle Chain Saw is bound to stand out. Thanks to its safety and unique capability. Excellence at its best is what you expect when it comes to its minimal maintenance costs and repairs. This chainsaw is designed greatly to minimize kickbacks for your safety. It further provides fast and precise cutting to the required core. The anti-vibration system is tailored best to easy operation. The saw also comes with a convenient D-style rear handle. It comes with a 1.6-horsepower 32-cc commercial grade engine with low emissions. This minimizes chances of possible pollution to the environment. This is one ultimate durable chainsaw, thanks to its chrome plated cylinder, a forged steel that links the rod and the heavy-duty gear driver oiler. It has a2-bar mounting studs that maintain the Oregon chain at the best of the best of its performance. This boosts its efficiency. It's side-access chain tensioner enables you to quickly adjust it quickly plus a chain protective cover. The inertia-activated chain break halts the chain rotation promptly as the slightest engagement. This is one saw dedicated for user comfort and after long use. The manufacturer provides an over two-year warranty just in case of further attention for the machine. The BLACK+DECKER LCS1020 20V MAX Lithium-Ion 10 in. Chainsaw, is run on a battery that is bound to provide you cutting needs, for the longest of the time. It is fast in getting you that careful cut, with much less effort. 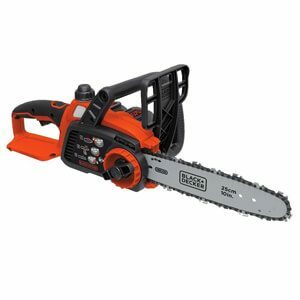 It comes with one unique tool-free blade tension system; that will enable you to find it easy to quickly adjust and improve your experience with this incredible chainsaw. The chainsaw happens to be one of the lightest at only 7.2 pounds, standing out from the regular one in the market. This means you can easily maneuver your hand motions during your cutting, but still achieve this with minimal fatigue. This machine is run by a 20V MAX lithium battery, able to last for a very long time and long-life, once you have charged it. It can stand for up to 5 times longer. You don't have to be concerned of battery shutdowns too. This saw brings you a 10-inch premium Oregon low kickback bar and a chain that ensures your cuts remain done fast and effectively. Its wraparound handle makes its portability and control much easier, with extra comfort. Additionally, it has an advanced oiling system plus a clear window gauge, just in case you want to check out your oil level. If you intend to go about your shaping, cut down branches or even prune around. This is the most suitable chainsaw for you. It brings you the ultimate performance using the least amount of fuel. This means less costs for you. Expect to use this chainsaw for a longer period without easily going tired, thanks to its amazing power-to- weight ratio. This will resultantly increase your output. The in-built anti-vibration reduces the energy required to control the chainsaw while busy doing the cutting. It brings comfort too. 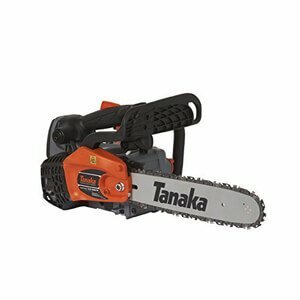 The Tanaka TCS33EDTP/14 32.2cc 14-Inch Top Handle Chain Saw comes with a pure fire two-stroke engine that is strong enough you to get the job done. It consumes less fuel for more production and still maintains that expected performance. It has low emissions, implying you won't cause much of the pollution to the environment. Its sprocket nose bar provides the extra control you need while doing your cutting easily, an aspect highly credited too to its Oregon chain. It is simple to operate, thanks to its automatic gear-driven oiler and a chain tensioner, for quick and appropriate chain adjustment. It brings you a half throttle choke plus a purge primer bulb for noticeable quick to start and warming up. It filter is very easy to reach out to. Unlike most regular chainsaws, stand out to experience the superior efficiency and user friendliness this saw delivers to you. It is credited with one powerful engine for those rough jobs. Its operation is effortless. It avails to you a rubber over-molded rear handle, plus an ergonometric full-wrap front handle, all geared to ensure the operator has ultimate control and comfort. 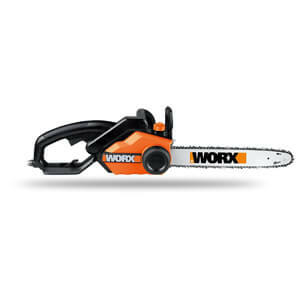 The WORX 16-Inch 3.5 HP 14.5 Amp chainsaw, puts your safety a priority. It has an in-built safety chain that halts the chain in the slightest of a second, just in case you make an inappropriate contact with your machine. This guards you against unexpected unsafe kickbacks. You don't need to go through the bustle of interchanging your chain, this chainsaw comes with a top-free chain and an auto-tensioning system, that does away with the straining associated in doing the same with other regular models. The auto-tensioning system is one oversized knob to protect the bar and chain while retaining appropriate tension automatically during your use. It minimizes chances of overtightening of your chain too. The 16-inch chain provides you gas-free effortless ability to operate the saw; you don't have to mix oil and gas, or experience problems with starting it up. It ensures constant lubrication of the bar and chain for the best performance and their durability. It brings you an oil indicator too. This is one saw that commands efficiency, speed in operation at minimal costs. Its design is user-friendly, with maximum safety. It is a modern chainsaw automation with easy functionality. It is easy to maintain as well. It has an in-built limiter that is carefully designed to guard the engine against any burnouts through efficient reduction of power, just in case of a power overload. This an automatically self-oiler for the chain functionality. It has a large oil reservoir with a visible window for oil level check. It has an ergonometric rubber grip handle, large enough for comfort and controllable motions. The machine has a large switch for smooth start-ups and turn offs. The chain achieves great cutting efficiency, thanks to its 2,900 FPM speed. This means you don't have to worry of your pruning or trimming tasks. It is a tool-less chain with minimal adjustments for the desired performance. Minimal maintenance of this saw translates to less costs involved. It comes too with an over a year warranty. This is one of the high powerful chainsaws in the market. It is suitable as well for commercial use. Expect high performance for the longest serving time to help you complete your tasks. 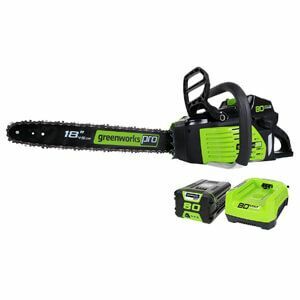 The GreenWorks Pro GCS80420 80V 18-Inch Cordless Chainsaw is a lithium-ion technology, engineered for easy fixing in the battery and pressing a button to achieve high-performance power and long cutting time. It is the ultimate open-air power experience. It happens to be a Pro 80V Li-Ion MAX system, which coordinatively goes together with its brushless motor under high voltage. The chainsaw is a simple electric start, meant to be light to the operator for the best tackling of the jobs ahead. This is possible without the release of gasses or fumes. This chainsaw can't let you down at any given time, thanks to its motor performance of its 45cc engine. It embraces durability through its metal wrap around handle, and the electronic chain are aimed at ensuring the user's safe use. It battery just needs 30-minutes charging. 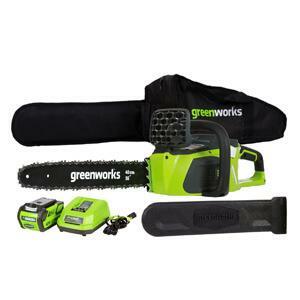 My last but not least is the GreenWorks 20312 G-MAX 40V Cordless Chainsaw. This is one innovative technology that stands out from the rest. This technology brings you a chainsaw that is quieter and able to get tasks done appropriately. This is due to its modern design brushless technology and power-driven a battery. It has an in-built automatic oiler for frequent oiling of the chain and the bar for maximum fast performance requirements. This keeps your chainsaw running for a long period with less stoppages. It is very simpler to start it with long life and great chain rotation. This makes your cutting quicker and reliable for your preferences. The chainsaw can be changeable with for the best oil blending and gas, emitting less fumes with fewer chances of going messy. For durability, expect this machine to ensure your job is done right to satisfaction. Regardless of the type of chainsaw that suits your job requirements and tasks ahead, proper maintenance is critical to ensure you derive the best performance from your chainsaw. Ensure you get a model to assist easily checking your oil levels. A well-oiled saw is likely to improve your productivity and reduce replace-ability of its parts. Read user manual on appropriate use, if you are new to chainsaws. Handle your saw with absolute keenness and care to do the job right. A warranty is a plus, if you get one, just in case, your chainsaw needs some more attention. Any of these brands are likely to achieve you the best performance hustle-free.